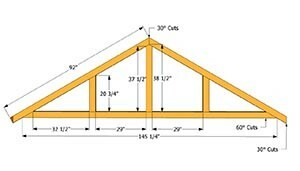 Cut Sheets of the trusses are generated from the Engineering Department and programmed in to the Computerized Saws. 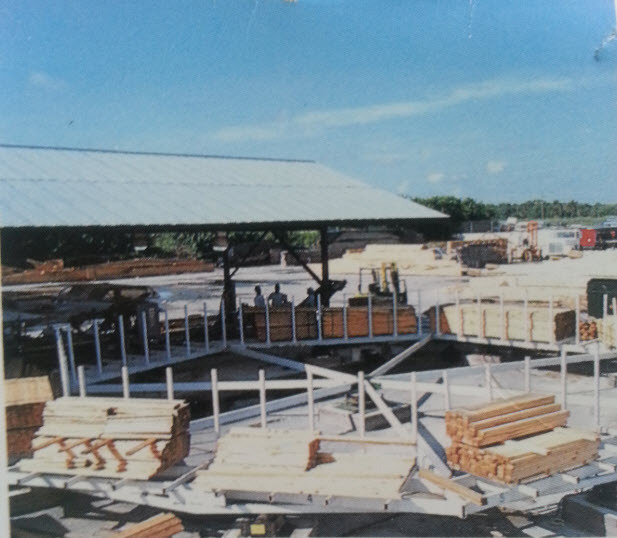 This assures one-hundred percent accuracy in the precise cuts required to provide consistent quality and savings of time and money for their valued customers. 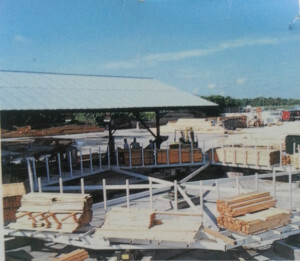 In order for the saws to maintain maximum efficiency, Lumber Carousel Systems are positioned to feed specified lumber to saws. 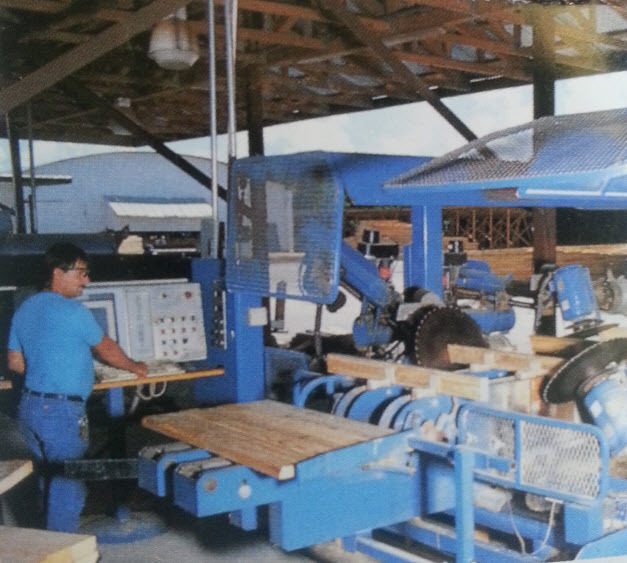 With out Automated Lumber Carousel Systems, the lift trucks could not keep up with the Saw’s rapid production capabilities. Another important feature to provide consistent quality and savings of both time and money for Our Customers. 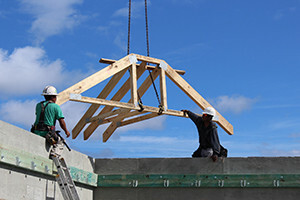 Only the highest quality materials are utilized in the fabrication of their wood trusses. 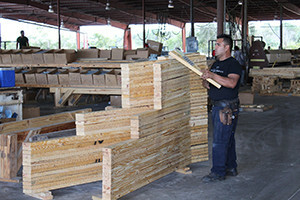 They always have an abundant inventory of top quality lumber for quick turnarounds. 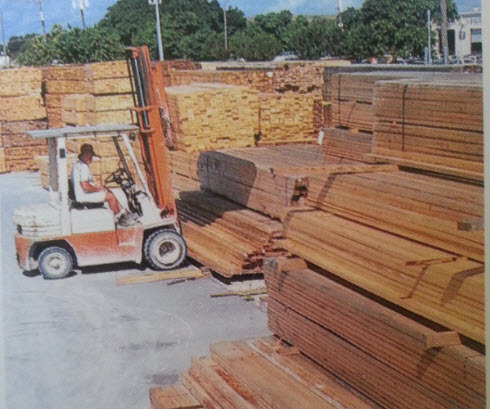 Their large fleet of company operated trucks provides reliable deliveries. Volume buying power for their Manufacturing Facilities, combined with leading edge computerized automation, ensures you the most competitive price on every job. 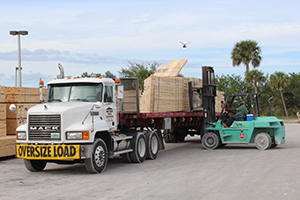 Our Fleet of Trucks are Professionally Driven and Maintained by Southern Truss Companies. We schedule deliveries to meet our clients demands. Statewide Shipping is always available by our Professional, Courteous and Safe CDL Licensed Delivery Drivers.